The Foundation for Sustainable Agriculture. Plant health management includes the full package of practices needed to achieve the attainable yield of a crop as set by the available water, accumulated growing degree days of the growing season, available sunshine, or other yield-limiting factor of the growing environment. It involves setting a yield goal based on historical attainable yields within the limits of the local climate and weather predictions and then managing the succession of yield-limiting factors such as weeds, diseases, insect pests, and plant nutrient supply to achieve that yield. As a benchmark, the attainable yield should be the highest documented yield obtained for that crop in that year, region and cropping system. Managing for a yield slightly less than the expected attainable, e.g., 90%, can lower risk and be more profitable and sustainable, like driving your automobile at less than full speed. In practice, the actual yield of any given crop, field, and year will be less, sometimes considerably less than the attainable for that crop and year. Obviously, a correct diagnosis is critical for learning why the short-fall in yield. 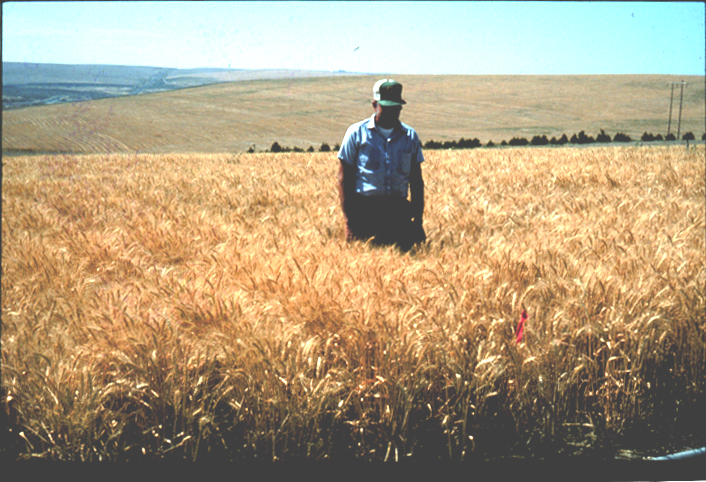 Overcoming a succession of yield-limiting factors for a crop is no different than following Liebig’s law of limiting factors. Thus, elimination of one limiting factor, e.g., available nitrogen, might then lead to the next yield-limiting factor, e.g., competition from weeds. But just controlling weeds will not raise the yield and hence pay for the herbicide if the available nitrogen was in short supply. A crop with a root disease is less competitive with weeds, making it necessary to spend more on weed control, but without a correspondingly higher yield since to pay for the herbicide the yield is still limited by the root disease. Most problems are obvious, especially to the experienced grower or field man, but others can be difficult to diagnose, even for the veteran pathologist or agronomist. Why the Increased Growth and Yield Response of Crops to Soil Fumigation? Learn about the research that experimentally separated the flush of nutrients from killed microbial biomass from control of root pathogens in explaining the nearly-universal increased growth and yield response of wheat to soil fumigation. Plant health management is the science and practice of understanding and eliminating the succession of biotic and abiotic factors that limit plants from achieving their full genetic potential as crops, ornamentals, timber trees, or other uses. Although practiced as long as agriculture itself, as a science-based concept, plant heath management as a science is even younger than integrated pest management (IPM), and includes and builds upon but is broader than IPM.